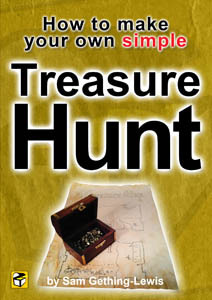 A guide of how to speak/write like a pirate especially when creating your treasure hunt clues. String phrases together to the point of excess, crammed with strings of adjectives. Drop the letters G and V. Use the word BE when referring to yourself. So if you were to say Follow the corridor to the end then look up when you open the door. It could translate to something like: Ye be walkin’ th’ plank down th’ long dark cutlass corridor, cast yer eyes to th’ skies when the door do be ajar. Congratulations! You’ve got everything you need now… Fair winds to ye salty sea dogs!